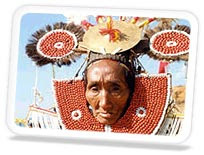 Our Indian tribal tour today will discuss some other major tribal languages spoken. As talked earlier languages play a key role in making people travel to explore various tribes. In India, out of a total of 437 tribes almost 300 tribes present an altogether unique language. In our part one of the tribal languages we studied some very fine tribes of India. Here we also attempt to provide you with some major languages spoken by some of the most visited Indian tribes. Aka – Bo: This language is generally spoken in north coast of Northern Andaman Island and the Nth island. Harauti: This is an important language of Indo Aryan language family. It is mmainly spoken in Kota, Rajasthan and parts of Madhya Pradesh. Ikrani: It centrally belongs to Dhule district of Madhya Pradesh. Paniya: Those tribes of India have a know how of this language who stay in parts of Kerala and Tamil Nadu. Shina: Indian tribes inhabiting in the Drass valley, and in parts of Northern Kashmir speak this language. Labels: Indian tribal languages, indian tribal tour, indian tribes, languages of tribes of india, tribes of india.